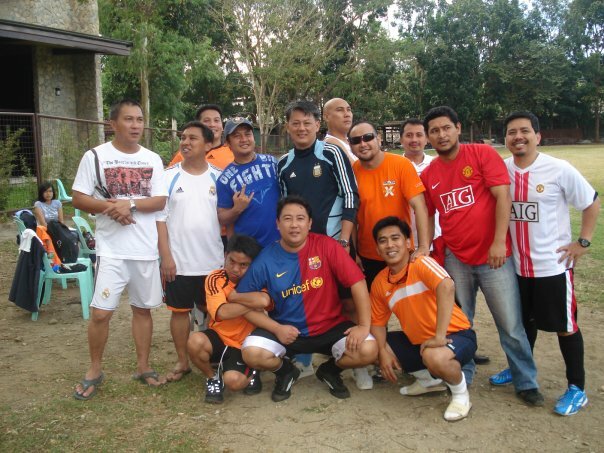 Erwin with former DLSL teammates. This is an excerpt from the lyrics of the hit song by an eighties group called El Debarge called, as if I needed to say, Starlight Express. This article is not about the song at all, which used to make me want to perish from the face of the earth everytime I heard it. In the eighties, I was into heavy metal; and pop ballads like this putrefied my flesh. Two of my boys, however, loved the song to oblivion. While waiting for a match, they would sit in front of Mang Erning’s jeepney listening to the radio hoping for one DJ to relent and play the ballad over the airwaves. When the song finally aired, the two would gleefully sing along. And repeat the routine while waiting for the rest of the team to get dressed after matches. That it was Erwin Sibayan rather than Robert Samaniego, I do not now recall how. Neither can I recall if I myself gave the moniker or if somebody else did. All I know is that when the teammates get together even to this day, everyone still calls Erwin by his moniker Starlight. And so, during matches, whenever Erwin had the ball his teammates would invariably call out to him, “Starlight! Starlight!” The coach of one of our rival teams thought it was the codename for one of our plays. No kidding! He told me so himself! At this point, let me segue into the real story for this article. At the start of the 1988-1989 season, I was looking to rotate the forward line from the three established strikers of the previous year: Robert Samaniego, Tony de Vicente and Jericho Magnayi. Magnayi I had always planned to use as striker because of his pace. However, the previous year I used him on the right flank where he would only have to worry about one side of the field. This would allow him to gain more confidence to take on opposing players. Starlight, if he was in my plans at all, was a junior among senior players; and was supposed to be the player who sat on the bench for me to call on if there were no other options. For instance, if one of the strikers got injured and I had used up all possible substitutes, he would have been convenient to have on the bench. Truth be told, Starlight was no more than an average player just two months before. No way was he bad. 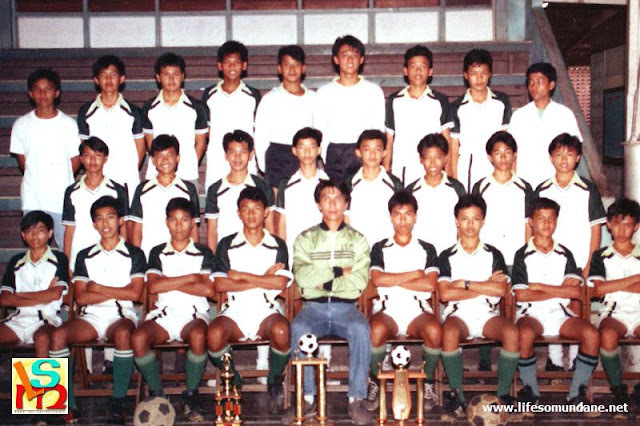 On the other hand, to get into the starting line-up of the 1989 team, you had to be really good; and that, Starlight was not when the previous season ended. Something happened over summer training, though. Not only did he add a couple of inches and started to fill out in the right places, his touch of the ball started to become really neat. In the passing game that my teams thrived in, this was a prerequisite. I did not fully understand the transformation until Starlight told me the reason for it one day. During the summer, when bored he would amuse himself kicking a ball against the wall at home. As a coach, I used to tell my boys that getting to know the ball is no different from trying to get to know another person. You spend time with it. There was a two-month window from the start of classes to the opening match of the season for me to whip the team into shape. With every training session during that window, it was becoming increasingly apparent that I would have every coach’s dream dilemma. I already had three top class strikers to choose from for a 4-4-2 formation. It is said that you just never know in football; and indeed, I never would have wagered on the clumsy sophomore of just two months before ever turning out to be anything but the boy to send in just to waste time in the endgame. Yet, there he was, like a caterpillar that had just wriggled free of its cocoon and was announcing to everyone that he was ready to take flight as a butterfly. I suddenly had four strikers of almost equal calibre to choose from, no small deal in keeping everyone motivated and ensuring no loss of quality when I made my substitutions. Starlight’s development was so staggering that as the season progressed, he quickly cemented his starting place in the forward line. Magnayi was the one who was given the license to roam and would drop deep to receive the ball from midfield, play it to Starlight and go for the return ball. Starlight had become excellent at playing with his back to the goal; and while slight of built, had this ridiculous ability to shield the ball from bigger and more muscular defenders. He was not bad at footraces, either; and he could score goals after sprints sometimes from as deep as the half-line. What was more, Starlight had genuinely become what the Brits call a ‘ballplayer.’ This is the sort of player who plays with the ball close to his feet; the one for whom his close control makes the ball a slave ready to move according to his every beck and call. When with the ball, Starlight did not kick it. Instead, he caressed it as one would only have expected of an artist in the performance of his craft. When in possession of the ball, Starlight was quite delightful to watch. Although he was adept at creating chances to score for others, he was definitely not averse to scoring a goal or two for himself. I will never forget the goal he scored against Ateneo in a 2-1 win for us when, after playing a neat 1-2 with Samaniego, he beat the opposing goalkeeper with the most exquisite lobbed ball. After graduation from high school, Starlight went on to play varsity football for San Beda College, to the late Coach Felix Cervita’s both joy and despair. The football was not the problem; and indeed Starlight could single-handedly turn matches and scored goals for fun. However, about half of the squad that they had at San Beda at the time came from me. One Batangueño deciding not to get on a BLTBCo or JAM Liner bus at dawn to attend Monday morning training was alright. When all the Batangueños schemed with each other not to get on a BLTBOCo or JAM Liner bus, then Cervita had a Monday morning headache! After college, Starlight joined the Air Force to become a pilot. 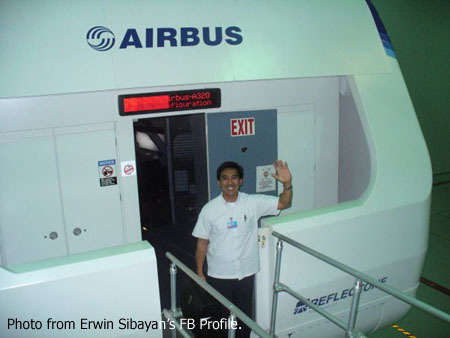 Like many others do, he eventually left the Armed Forces to fly commercially with Philippine Airlines. He left PAL in 2010 to fly with a foreign carrier. Two decades after graduation from high school, Starlight still has not lost his touch. 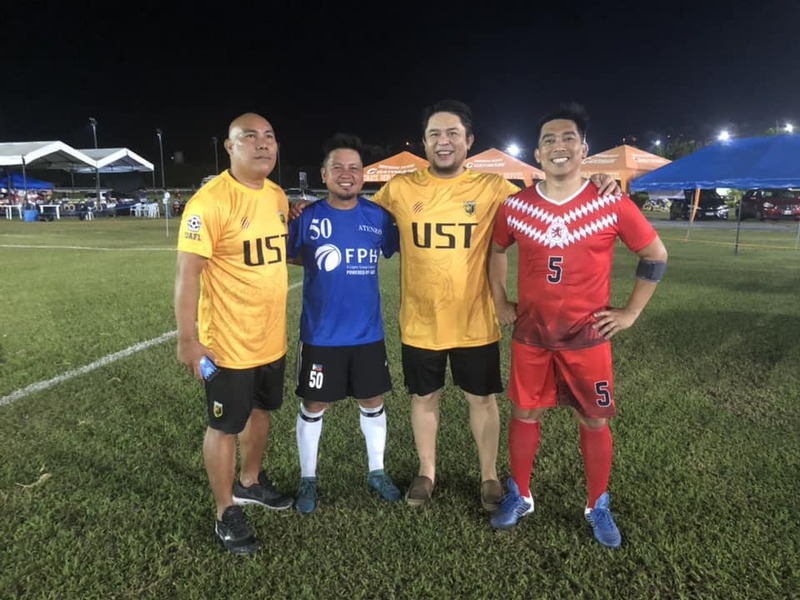 Give him a football and he will caress it like he effortlessly did when he glided past desperate defenders during his halcyon days as a striker for my team as well as for San Beda College. When he boards a jumbo jet, starts the engines and completes the pre-flight routine, he is probably even not aware that he is enacting the lyrics of the song after which he continues to be known to this day.